Welcome To Rubislaw Church ! Our doors are open wide to everyone, and our hearts are shut to no one seeking to find a safe place for spiritual life, growth and fellowship. So if you are visiting Aberdeen or simply looking for a church home, come and join us in celebrating and worshipping God in all of his glory, here, at Rubislaw! ​A crèche is available in the Church Centre. Sunday Club and S1-S6 group is provided (after joining in the first 15 minutes of worship). 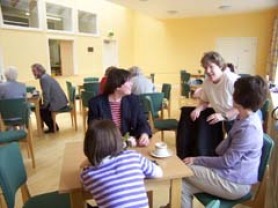 Tea/ coffee and fellowship after the Service at the Church Centre. Also snack-lunch on the first Sunday of each month. Communion: is celebrated at the early 9:15 am service on the first Sundays in March, June, September and December and also at our main 10:30 am worship service on the first Sundays in February, May and October. Early Worship: each 1st & 3rd Sunday at 9.15 am. to grow in nurturing and helping people of all ages and backgrounds, in sharing the Good News of Jesus and in reaching out to the community, the nation and the world. Growing together, sharing God's love, building faith, bringing hope. We meet at 10.30 am on Sunday mornings at the Church building, highlighted on the map below. 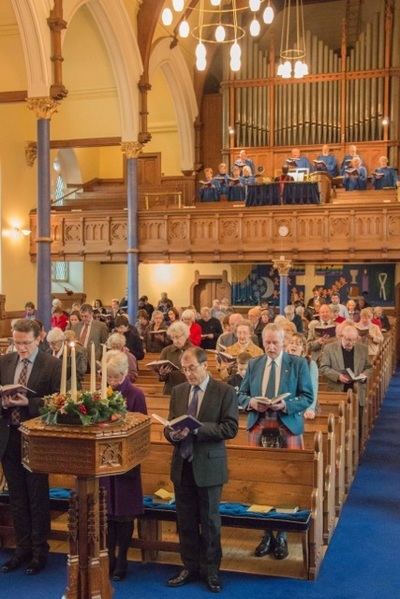 After the service and during the week, most of our activities are focused in the Church Centre. It is 100m north of the Church building, at the junction of Beaconsfield Place & Fountainhall Rd.